There has never been a rumored beef between these two, so the news comes as a shock. Sources say that Iyanya was refused entry at Davido’s birthday party which took place over the weekend. “That question has left many tongues wagging. 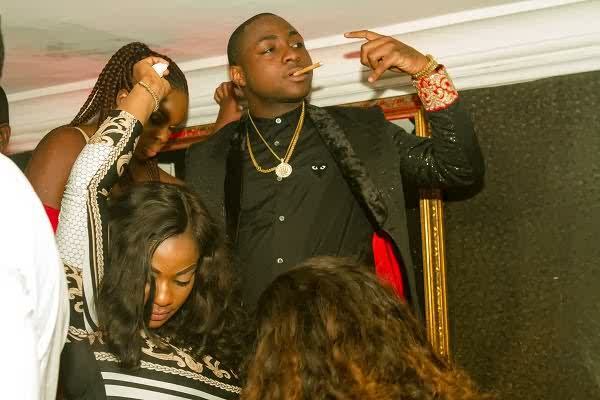 Iyanya was bounced at Davido’s 21st birthday party which held at Pavada Lounge Thursday night. Witnesses said, most people who weren’t invited where not allowed to get in, and if you must, you must call one of the HKN group members, who will come out and take you in. Most people who felt they should be in, called Kamal, a member of Davido’s group who was always in and out taking guests in. But when Iyanya got to the entrance, the bouncers said he couldn’t get in. People around told them it was Iyanya, but the bouncers still refused and said if he must get in, he should call Davido or Kamal.